At Strands we value design when creating our innovative solutions. 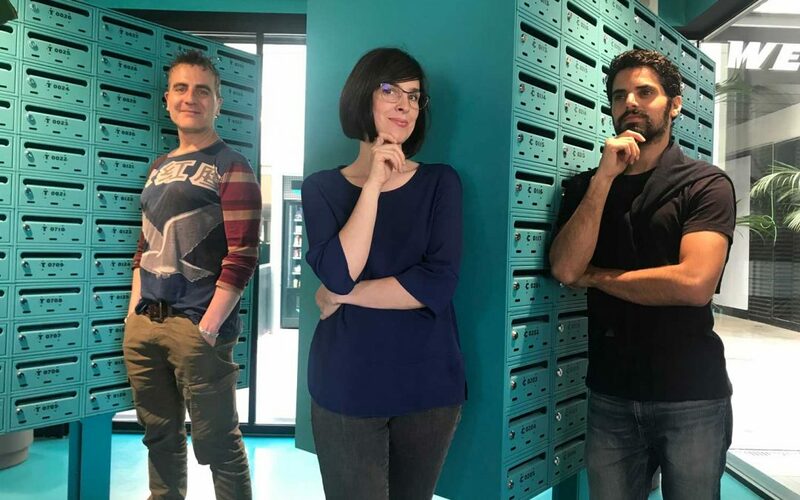 Anna Oriola, Juanma González and Guillem Espias know that intuitive, user-centric design is crucial in everything that we do. And it has paid off. In this interview, they share their thoughts on design culture, the top essentials in their workspace, and the rituals that always get them into focus mode. 1. What does design culture look like for you? Anna: I see design culture as a philosophy that can be innate or acquired, but that shapes your way of life. The balance between beauty and usefulness of things. Design culture implies an intentional purpose – no creation is beautiful, sleek or useful by chance. Juanma: Design culture, in my opinion, is a comprehensive discipline that should be integrated in every single company. Design is often defined as the process of making “things look pretty”, but it’s way more than that. When the design is not respected, it takes a back seat in engineering and sale decisions, which causes bad results. Guillem: For me, design culture is the understanding of design itself; what it does and what not. For instance, there is a direct association between designers and artists, while the rational thinking behind design (or good design) is closer to science than it is to art. What’s the point of designing a nice and trendy chair if it’s so uncomfortable that we cannot sit on it? In this case, ergonomics are essential, otherwise we are just creating a piece of art to be exhibited in a museum. Understanding that design is not making things pretty but useful (and meaningful) is what design culture is all about. 2. What are the top 3 essentials in your workspace? Anna: Give me a clear table, a pencil, and a bunch of white sheets and my mind is ready to design! Every time I see a scenario like this I have to sit down to create, no matter where I am. I guess it’s like the climber who enters an adventure sports store and feels the urge to climb a mountain. Juanma: A Sketch notebook, pencils, and colors. I just can’t start the proposal of a new website without first starting to draw on a paper. I believe it’s the simplest way to turn an idea into reality. Guillem: They are pretty standard, but I use them most of the time. I use Sketch as the main design toolkit (with Craft, a powerful plugin suite from InVision), IconJar (a drag-and-drop tool for icon repository) and inVision for prototyping (both for desktop and iOS). If I could add a fourth “essential” in the future I would go for my Apple Pencil (and iPad Pro). I wish I could have them all in one; the fewer processes the better! 3. What is your ritual to get in the zone when you’re working on a project? Anna: I sit down, clear my mind, and get into a state where I to put myself in the user’s shoes. My favorite thing is to start brainstorming right away. Often times I also create storyboards to clarify my ideas; they are like comic strips that reproduce the user’s journey, from the moment the need arises until he/she manages to satisfy it. I found this tactic very inspiring! Juanma: I think it’s a must to maintain a constant dialogue to have a good amount of ideas about what is needed or expected. Guillem: First of all, before I start designing I make sure that everything around is tidy and clean. It might sound like a kind of obsession, but this really works as a design principle to me. I find much easier to start drawing on a blank page than start doing when surrounded by chaos.